As promised, some Easter Feeling photos today! Mom thrifted new candle holders last weekend and I got candy and a present (new bag!). 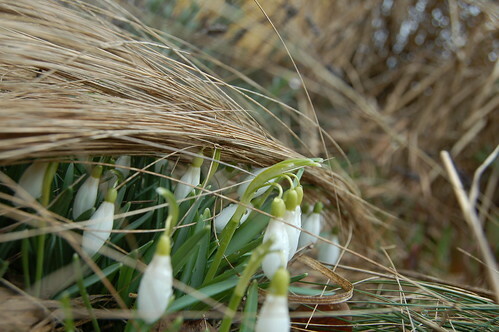 The smallest but still biggest evidence of Spring time is here: snow drops in the garden. We didn’t decorate much for Easter this year, but my mother put these flowers together on a curly tree branches from the garden. Isn’t it lovely? See the whole tree here. 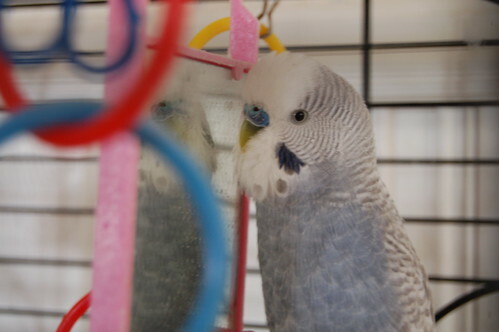 This is Raffe the budgie. He comes to my hand when I talk to him. Mom hung the Easter pot-holders, dad boiled the Easter eggs and all I did was walking around the house waiting for my birthday and taking photos of everything, including the böckling (the fish dad was preparing). What did I do last year? Hmm… placing cards – fun project! Hope your Easter was as great as mine!? This entry was posted in Photography and tagged critter, easter, traditions. Bookmark the permalink. What fabulous door decoration, even the hook is beautiful – looks like something made by art glass ceramist artist Ulrika Hydman-Vallien! And the easter egg looks exciting, probably stuffed with your favourite candy. And, your mum has made the qutest three-felted flower arrangement!! This year our easter decoration was made of tulips on the kitchen table and eggs in a bowl that was dropped with stearine before boiled with onion “shells” (makes a beautilful marmorated affect in white-brown). Besides this we ate lots of great easter food such as gravad lax, pickeled herring and a fantastic lamb roast with potatoes au gratain. thank you for sharing your wonderful holiday traditions!! all my grandparents are from Sweden and I crave to know more of my ancestry and their traditions…you have given me a great gift with this post. 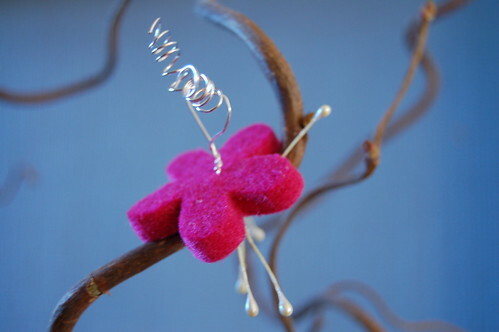 your photographs are beautiful and I just LOVE the little felt flower on the tree…thank you!! 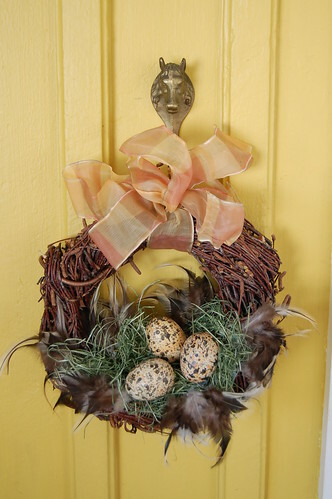 That is a wonderful wreath with those soft feathers! 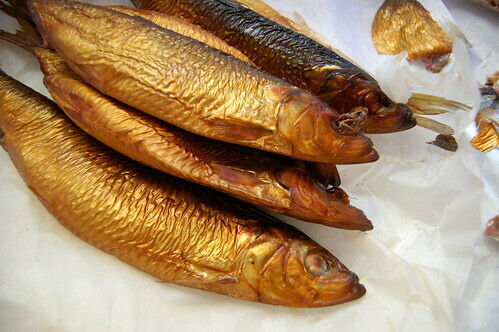 Also, I love the photo of those fish — so Swedish I think! And Easter witches — that sounds really cool. Happy Birthday. The 30s are super cool. Grattis lite sent!! Hurra p? din f?delsed?! I really love your photos. Easter witch, huh. My daughter would love this idea, she’s really curious about all types of witches these days. What wonderful easter pictures! And I love the witches!!! Thank you for commenting on my blog, and please come back again! each picture was like an easter egg treat! Thank you for sharing such pretty fun things with us! I loved the white bell like flowers coming up and the gold tin fish! So French!! Thanks for visiting my blog and saying hello. I’ve enjoyed reading your posts and seeing your photos. It’s lovely to see what’s going on in your corner of the world. Happy 30th birthday! 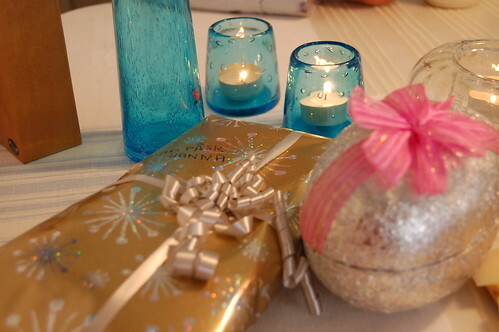 Looks like you were spoiled with some beautiful presents and a lovely party…..lots of fun by the sound of things. I love your beautiful cat Smilla! I’m sure you’re enjoying her very much and I’m glad you have found each other. She will be great company for you. The tree with pink felt flower is beautiful! I was up to doing something like that this year. I never did. But now I know how to.